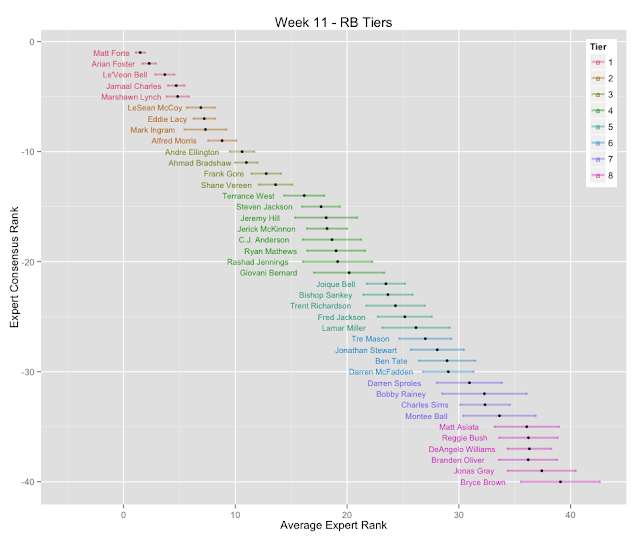 All data are from Fantasypros.com. A clustering algorithm is applied to discover the tiers. 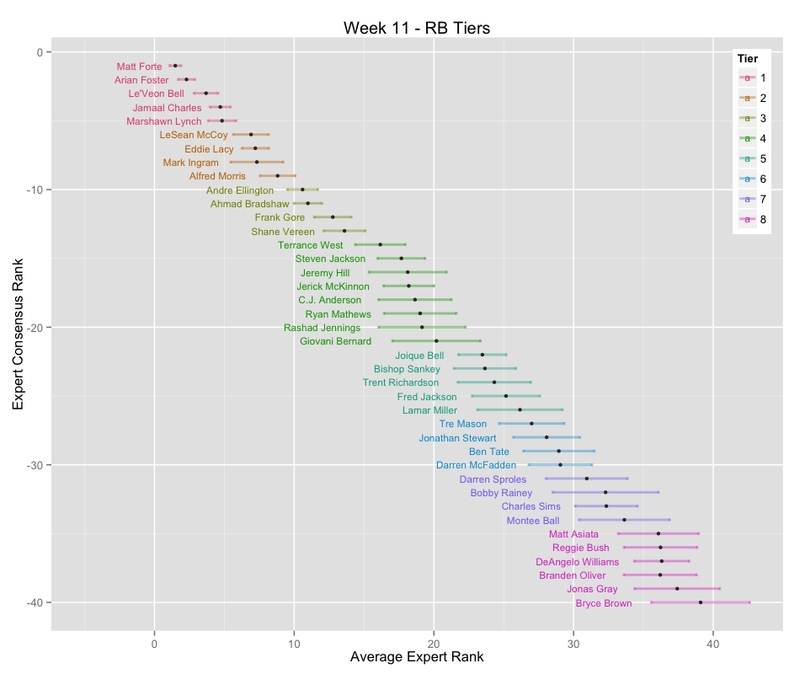 The resulting charts let you visualize the tiers and ranks, and help you decide your line up each week.